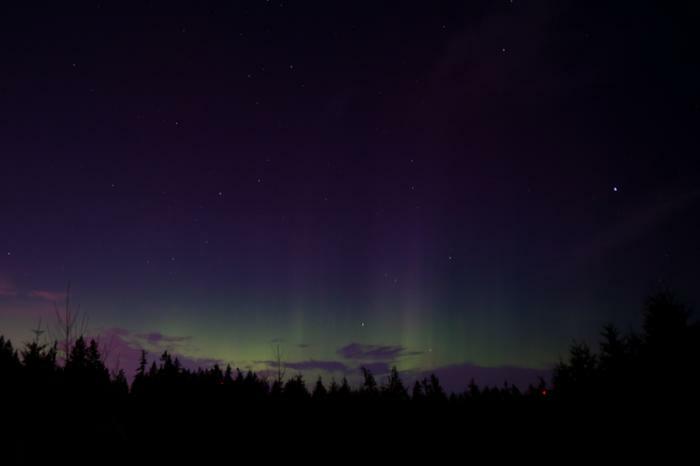 A March 7 X5-class flare delivered a glancing blow to our ionosphere and led to over 24 hours of auroral activity. I headed south to avoid the clouds over Seattle and ended up near Black Diamond and captured the dim, but active display. The aurora, as visible from our area, rarely get the waving and curling arms you see in photos from Norway and the Yukon, but we do get to see the full extent of the rays, from the green base to the violet and red tops. A directly Earth-directed X1 flare blasted past the our magnetosphere last night around 7pm on up to around midnight, and oh my what a show it was. 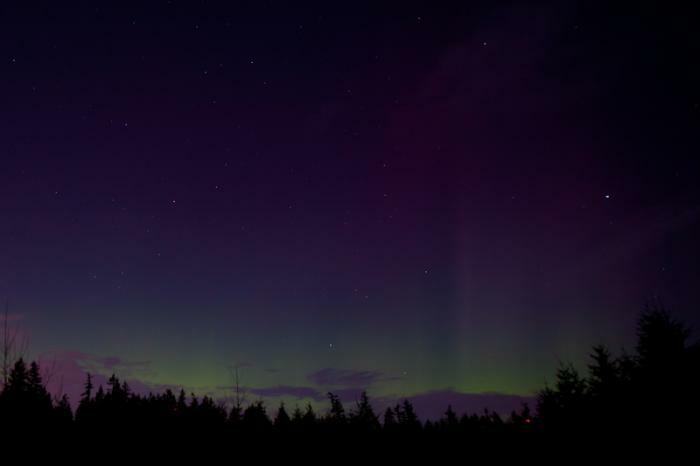 The third largest recorded coronal mass ejection (CME) from the sun slammed into the earth around midnight on October 28 spurning the intense aurura all the way from California to Goergia. 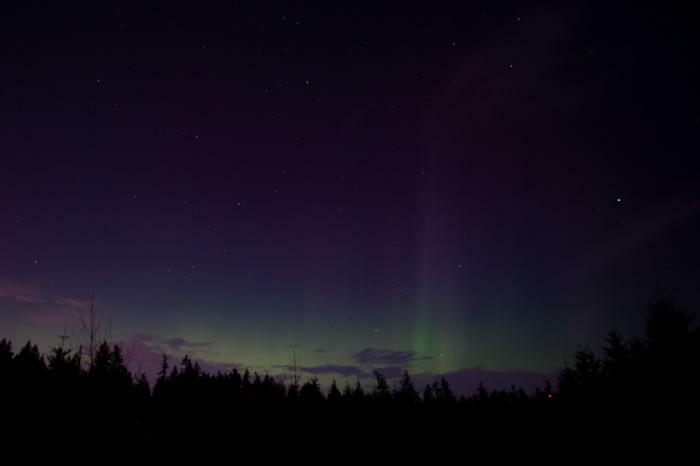 For a short period, the aurora was visible between the clouds in here in Bothell. managed to get some photos before the clouds closed in completely.